Since I was yanking Steve Schafer’s chain yesterday, today’s photo is for him. 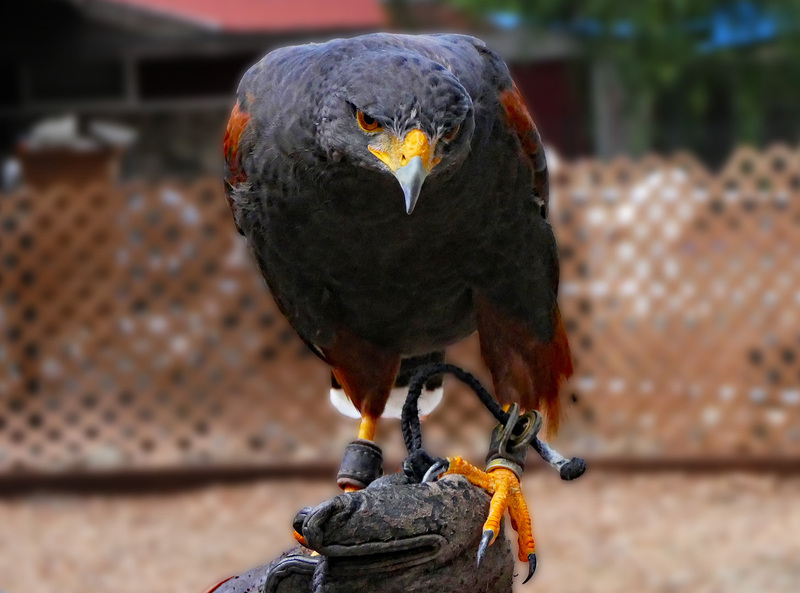 This is my friend Helga’s beautiful falcon, Dreki. (That’s Icelandic for dragon.) Apparently he’s eagerly waiting for October 1, when rabbit season opens. I think I’m glad I’m not a rabbit.